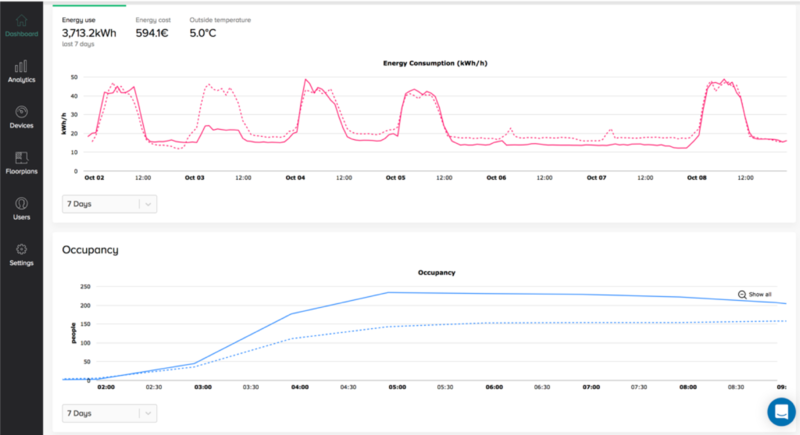 Real-time insights on occupancy and utilization for flexible office spaces – Basking Automation is working with corporate real estate managers and office space operators who are looking to measure space utilization, reduce operating costs and improve productivity. Basking is solving these problems with real-time occupancy analytics and automation software that is easy to use, affordable and focused on fast multi-site deployments. Get data-driven insights from existing building systems: occupancy trends, space utilization rates, potential cost savings. Basking helps you to understand how your office space is being used. Our experts connect your WiFi systems to the cloud via secure APIs within a day. You get weekly space utilization reports on portfolio, building and zone levels, and recommendations on how to optimize your real estate expenses – saving up to 40% of the costs. No additional hardware, no setup time, no installation costs. API integration with existing WiFi infrastructure is set up within minutes. Quickly connect your portfolio of buildings and access the cloud-based analytics application. Basking is using read-only API access. Basking can never gain access to your network or make any changes to it. Data is encrypted at rest and in transit, hosted on the Amazon AWS cloud platform, from servers located in Frankfurt, Germany. Private information is not collected, MAC addresses are anonymized. Basking aggregates reporting at the team level at a minimum, providing a high-level view of occupants within a space belonging to one team. 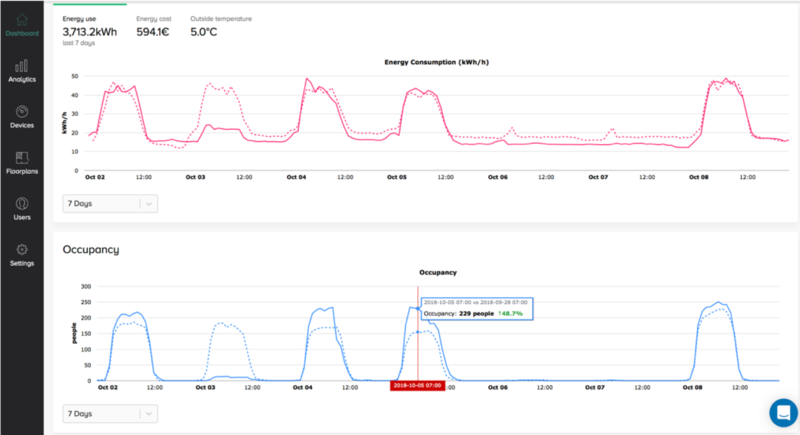 Visualize your occupancy and energy data in real time, and compare your metrics to your previous performance. Zoom into a specific point in time to better understand and compare previous events. 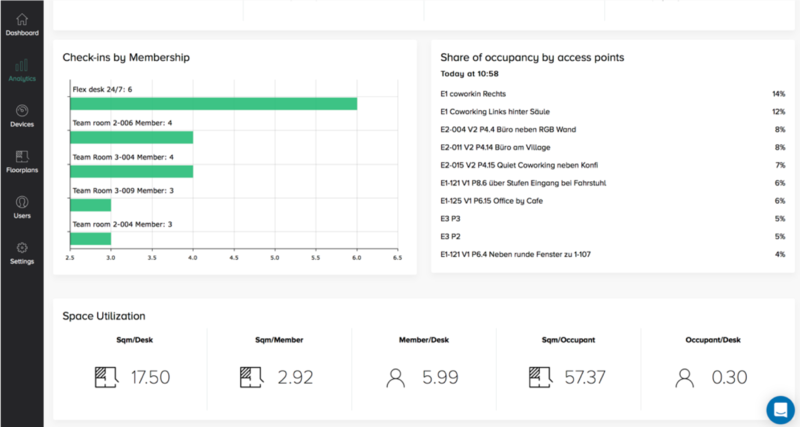 Dive deeper into your data set and compare occupancy with your access cards system, to better understand when people come in and leave your space. Drill down to understand how people are dispersed across your space, and determine the occupancy by member types based on CRM integration. Better visualization of your real-time occupancy across your space, by simply uploading your floorplans to unlock the heatmap view.